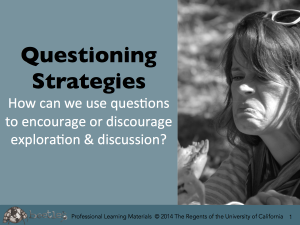 This session focuses on how to use questions to encourage student exploration and discourse. 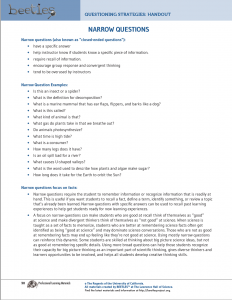 Part of the session delves into how an instructor’s different prompts and behaviors may encourage or discourage student exploration and learning. 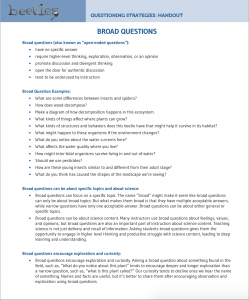 Participants discuss the effects of two main categories of questions—”broad” and “narrow” questions– on student discourse. 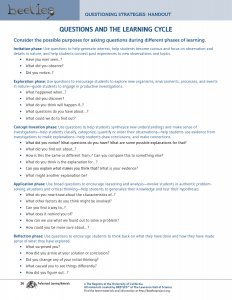 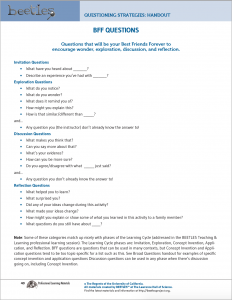 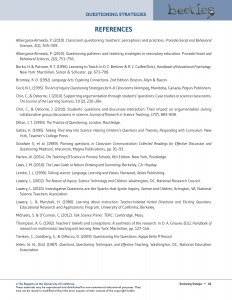 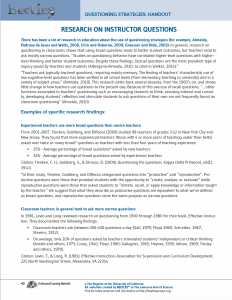 Participants analyze the impact of questions on student thinking and behavior, and use this information to make thoughtful decisions about when to use different types of questions in instruction. 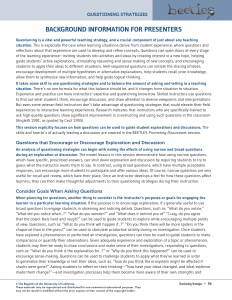 Participants also explore typical roles instructors can take on (such as “the sage on the stage,” “the guide on the side” or “the entertainer”), and how these roles can either draw out students’ ideas and discourse or, in the extreme, shut down students’ ideas. 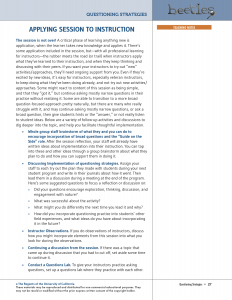 This session is great as a follow-up to Making Observations, and as a precursor to Promoting Discussion. 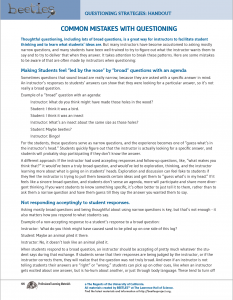 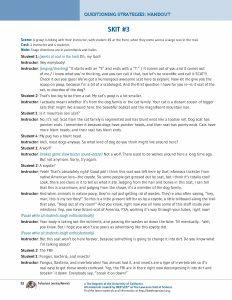 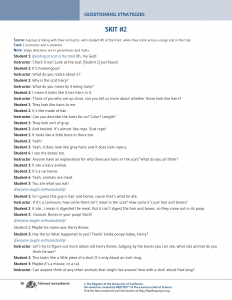 Experience and reflect on the different effects that narrow and broad questions have on student thinking and discussions. 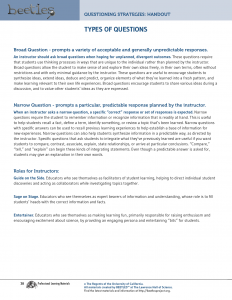 Note behaviors how an instructor instructor’s role as a “guide on the side”, “entertainer”, or “sage on the stage” impacts students. 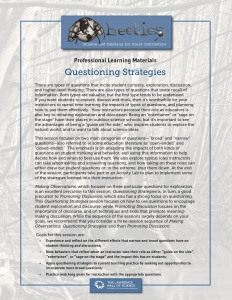 Apply questioning strategies to current teaching practice by seeking out opportunities to incorporate more broad questions. 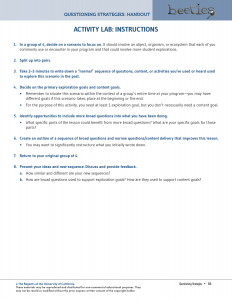 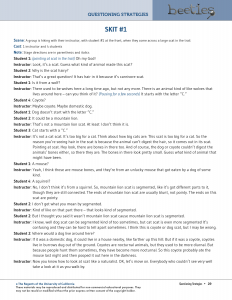 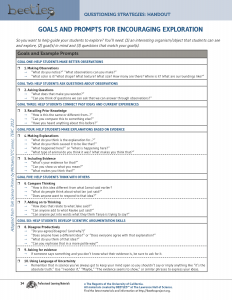 Practice matching goals for instruction with the appropriate questions.